Why Choose Us for Your Market Research Survey? Access to IQCS (industry trained) registered interviewers. Ability to select and tailor research methods to the requirements of the study. Extensive knowledge of information sources and established industry contacts. Flexible charges to suit your requirements. Competitive costs - low overheads. It's all very well saying the above (anyone can) but at DJS Research Ltd we monitor our performance against these objectives. At the end of every project we send a customer satisfaction questionnaire to assess our performance and to aid our continual quality improvement. Results from our clients are extremely positive. Currently 92% of our clients are very satisfied with our service with the remainder saying they are satisfied. In addition, last year two thirds of our projects were from repeat clients and the other third (new clients) said that they were very likely to use us in the future (and some are already doing so). 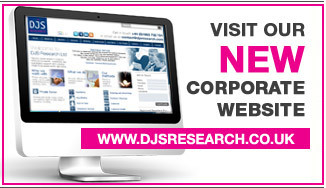 "DJS Research has a good understanding of my business area and the requirements for this research. They are friendly, professional and provide high quality analysis". "DJS provided us with a great all round service with a quality output report that will help shape our business going forward. Highly recommended to any business!" "This is the second time we have used DJS and have experienced no problems at all with them"
"Dan and James at DJS have been a pleasure to work with, they got what we were trying to achieve and came up with a methodology to help achieve our goals. Throughout the project they have been efficient, proactive and focused on achieving the end goal in the timescales provided. I would certainly work with them again". "The research project that DJS Research completed for Imperial College Business School was a huge success in advising us on the viability of launching a new programme. I found them to be extremely flexible given our very tight deadline and very responsive to our needs . It has been a pleasure working with them and I would definitely recommend them to others". "The brief was well understood, research approach was very professional and results were pleasing". "DJS Research have successfully demonstrated how a professional Market Research study should be conducted. They have been a pleasure to deal with throughout the entire process and have provided Bako North Western with an insightful and quality analysis on all areas of the business". "We have been delighted with the quality and reliability of the service provided by DJS Research. Within challenging timeframes, comprehensive and information-rich results were provided and our Account Manager was always on hand to deal with queries. We look forward to working further with DJS". "DJS are an excellent team of experienced people, who took our fairly specialised needs, and met our high expectations with every aspect of our project together. They are a great bunch of people who went above and beyond to provide us with excellent service and were always available at the end of the phone to help"
"This was our first 'big' market research project and so we were a bit skeptical of how much benefit it would be, but it has given us the way ahead and identified some new opportunities. We could have never done this on our own, to this top class level. DJS have done a great job for us"
"This is the first time I have used DJS Research and all aspects of the project from project briefing to delivery of results and recommendations have been completed very satisfactorily". "DJS gave a rapid, honest and helpful response to our initial query, and then handled our research efficiently to deliver a very useful result. I would be happy to work with DJS again". "The service we recieved from DJS was excellent - all our expectations were met"
"An excellent Research Provider who delivered exactly what was requested of them. They are easy to work with and adapt to any changes required. The report they provided to us was very indepth and gave some valuable suggestions on where we might like to focus our efforts. We will definitely work with DJS again in the future". "DJS undertook a two part brand research project for WRVS which was handled very professionally. The exercise has provided us with very useful information to take our plans forward. I would not hesitate to recommend DJS and we are already using them on another piece of research". "I was very satisfied with the running of our focus groups; it was efficient, and effective. You were also swift to respond to our problems/questions, and very helpful. Thankyou very much!" "DJS exceeded our expectations throughout the project providing a flexible and genuinely efficient service. They clearly have expertise and were very happy to share it, always providing ideas about how we could meet our targets. In our view they provided value for money and needed virtually no management"
"I approached half a dozen agencies for a proposal for a B2B market intelligence project. I found that DJS responded quickly to the brief, understood the objectives better than any agency and, once commissioned, sustained a good level of engagement and understanding. DJS met the objectives I had set and completed the project within a challenging timeframe. Moreover, Ali and Danny were able to add value and bring constructive ideas to the project which improved the quality of information uncovered, improved the success rate of interview recruitment and increased the business value of the final report". "We were very pleased with the service provided by DJS which produced some excellent results withint the timescale we needed them"
"We have worked with DJS Research on a number of different patient and public involvement projects and have already recommended them to other colleagues within the PCT due to their friendly, professional and efficient service. The DJS team kept us regularly informed of progress in a way that was flexible with our needs and have always kept to the agreed deadlines. The reports which have been produced have been widely circulated around the organisation and the results have been welcomed with positive feedback. We would definitely recommend DJS Research to other NHS Trusts". "The service from DJS was flexible, professional and resulted in a very useful piece of research with the final report combining information and insight". "The DJS team were incredibly professional and accommodating. They were also able to produce a well-written and evidenced report in a quick time. We received excellent feedback on the conduct and friendly nature of the DJS team and have since recommended DJS to our colleagues in other regions. We would therefore be more than happy to work with DJS again"
"DJS always sort my input at each key milestone to ensure that I was fully aware and happy that my brief was being met and throughout the whole process I was always kept well informed. The outcome of the process provided valuable information in the format and manner we could use to help improve the service we offer to our customers. DJS were professional, efficient and delivered on what was asked of them. I would not hesitate to recommend them"
"The project brief was explored in great detail to ensure that DJS understood our exact requirements for the project. We were regularly kept informed of progress and updated on developments. The project was delivered to schedule and to the standard required - we were very pleased. This is the first time we've worked with DJS Research and would definitely consider them for other projects in the future"
"My experience of DJS leads me only to believe that they are a wonderfully professional, efficient, thorough and courteous group of individuals at all stages of the research process, leaving both myself and my Client extremely satisfied not only with the research results but the service we received as a whole". "I have been impressed by the short period of time DJS needed to grasp the essence of our research goals. They pushed hard to get the results we wanted and showed great commitment. All in all, I am very satisfied with the actionable results DJS delivered"
"After receiving many proposals from different market research companies, DJS Research was by far the most detailed and very competitive on price. The staff are professional, enthusiastic and very approachable, whether its first thing in the morning or last thing at night someone was always on hand to discuss any issues and help solve them there and then. My project was on a very short time frame, however, DJS was still able to complete a quality project with professional set of results well within the time constraints I had given them. Above all I am very happy with the service I received and would recommend DJS Research to any other company, big or small". "DJS Research provided a very quick turnaround for our project and a first rate service from start to finish. I wouldn't hesitate to recommend them to other companies". "The responsiveness and enthusiasm for the job was infectious. The research was carried out in a professional manner. Contact with us as clients was outstanding. It was good to know they had given the job the same priority as us!!" "I have used DJS for a variety of research requirements for several clients across very different markets and every time have been impressed with their thorough approach, ability to understand the brief and insightful presentation of their findings". "The customer service in general, from the responsiveness to the communication and the overall quality of the output, was very satisfying and it was a great working relationship throughout"
"DJS are easy to work with and their research provided some useful feedback that we will be able to action". "We knew what we wanted and sought a company that could deliver this to a high standard, to a specified timescale and at a good price. DJS Research did exactly what we requested but also gave good advice on the process, they kept us informed throughout the stages of the project and completed the project by presenting a clear, conscise and insightful report - all within budget. I would recommend them and use them again"
"From the initial proposal, which demonstrated an understanding of our company's background, through the research with sensitive customers to the final presentation the service given by DJS was of the highest standard". "DJS responded with a well-thought out solution to our brand perception needs. The 2-stage research project was implemented to time, to budget and in line with MRS quality criteria and has provided us with independent, actionable and insightful information to steer future plans". "Always happy to advise and listen; happy to provide additional information on request; quick responses to questions; project delivered on time and within budget".